Let me guess: You love doTERRA and thought about selling doTERRA online, but you don’t don’t where to start. Guess what? The #1 thing you can do to expand your doTERRA business is to start your own doTERRA blog. 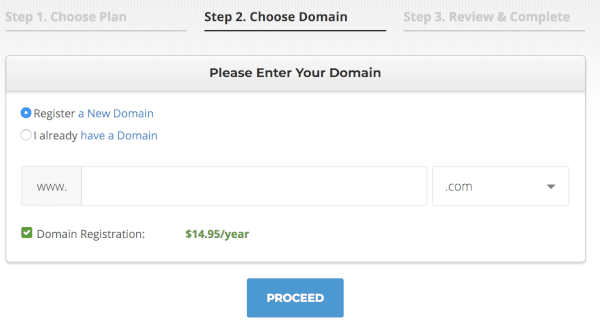 All you’ll need is about 15 minutes, a domain name and a credit card. Don’t wait. Today is your day to start your own doTERRA blog! Put things on hold for the next 15 minutes and follow the three steps below. You’ll be up and running with your own doTERRA blog before you know it. Please note that this is step #8 in my FREE How to Sell doTERRA Online Training. If you haven’t already, click here to see the complete training and complete steps 1-7 first. Disclaimer: Some of the links in this post are affiliate links, and I will earn a small commission if you make a purchase using them. Thanks for your support. It keeps this website and training free for you. I highly recommend you pay for your WordPress site. You will find a free website to be super-limiting. 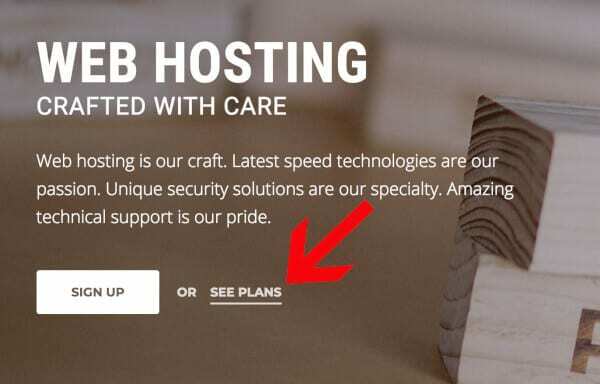 A free web host (such as wordpress.com, blogspot, etc.) is best if the blog is made for personal reasons, such as sharing photos with family, with no intention of expanding the blog or making a profit at all from the blog. Since you want to make a profit from your doTERRA blog, you are going to want a self-hosting web host. Lucky for you, I’ve been blogging for profit for six years now and I’ve heard and experienced the good, the bad and the ugly of all the WordPress.org hosting companies. To get started, click here to go to SiteGround. I’m going with the assumption this is your first blog. In this case, the StartUp plan should be perfect for you. You can always easily upgrade your plan later. Once you have selected your plan you will be asked to choose a new domain name. A domain name is what you will see in the url and will be the name of your website. For example, bestessentialoils.com is my domain name. This is truly the hard part. When I said you can start a blog in 15 minutes, that’s assuming you have a name all picked out that isn’t taken. If you don’t, this part could take, and probably should take hours or days. Click here for tips about choosing your name. Here is where you will enter the name you want. If you aren’t sure if it’s available, just give it a try and it will tell you if it’s available or not. Once you pick a name that’s available, you will get a congratulations message and move to Step 3. Once you find a name you like that’s available, that’s truly the exciting part. You’re almost done! Fill out the Account, Client and Payment Information sections. *You save 65% on the regular $11.95/mo for the first invoice. Once your initial term is over regular renewal prices apply. Think about this carefully. This is important. You get the 65% off rate for however long you sign up for this first time. After that, the invoices go up to $11.95 a month. So, yes, you can do a 1-month trial. But then on the second month, your cost will go up to $11.95 a month. Compared to if you sign up for 36 months today, you will get $3.95 a month for 36 months before it goes up to $11.95 a month. That’s a savings of $294.95! 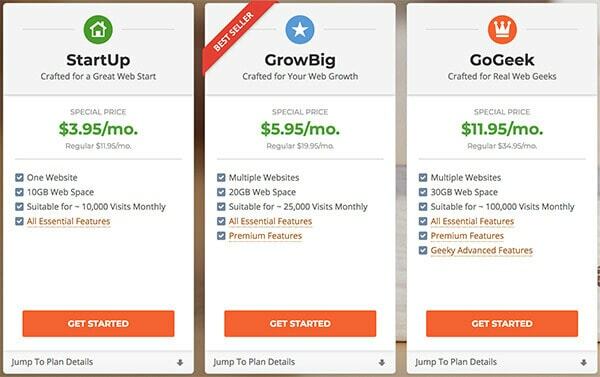 I’m not saying you need to sign up for 36 months, but I’m saying there’s no way you’re going to get your blog set up and running enough in one month and have time to know if it’s going to be profitable for you. No way. These things take time, consistency, commitment and a little luck. That can’t be done in a month. The EXTRA SERVICES section are all annual expenses. The Domain Registration is necessary. That keeps the name of your blog registered. Make sure the Terms of Service button is clicked and click on Pay Now. Try not to think about the cost too much. It is a risk, but really it shouldn’t be too hard to make at least $7.85 a month on your blog (that’s how much it is a month total if you do the 36-month option and all the extras). After you signup for your WordPress hosting package, you will receive all the necessary information you need to login. Click here for all the instructions on how to install WordPress with SiteGround. Congratulations! You have now successfully created your own doTERRA blog and can start making it look how you want! After it’s installed, there are more tutorials here on what to do next. I just want to thank you for taking the time to share your info. Rebecca – do you recommend wordpress.com or wordpress.org? Definitely wordpress.org. The reasons why are listed under Step 1. Is it possible to start with free wordpress.com and then upgrade later? Hum. I actually just looked into it. You used to be able to get a free wordpress.com site, but now it looks like they charge $4 a month so there may not even be such a thing as a free WordPress blog. I’m going to have to look into it some more. If that’s the case, then your options for a free blog are something like blogspot, where you would have a blog address that’s something like iloveessentialoils.blogspot.com and spend all your time learning blogspot and be VERY limited with what you can do. Then when you decide you want to switch to WordPress, you would have to redirect by hand (if it’s even possible) every page to your WordPress blog, get re-certified, learn WordPress and get it all set up, etc. Seems like a no-brainer to start with Siteground from the beginning. That’s who I use now with millions of pageviews a month between my blogs and have switched several hosts over the years and wish I would have just started with them from the beginning. It would have saved me hours and hours of work and thousands of dollars.